I'm going to set up the arcade machine in my office which is on the second floor. Unfortunately the cabinet is too big and too heavy to be carried through the staircase in one piece. Thats why all connections are screwed instead of glued together. 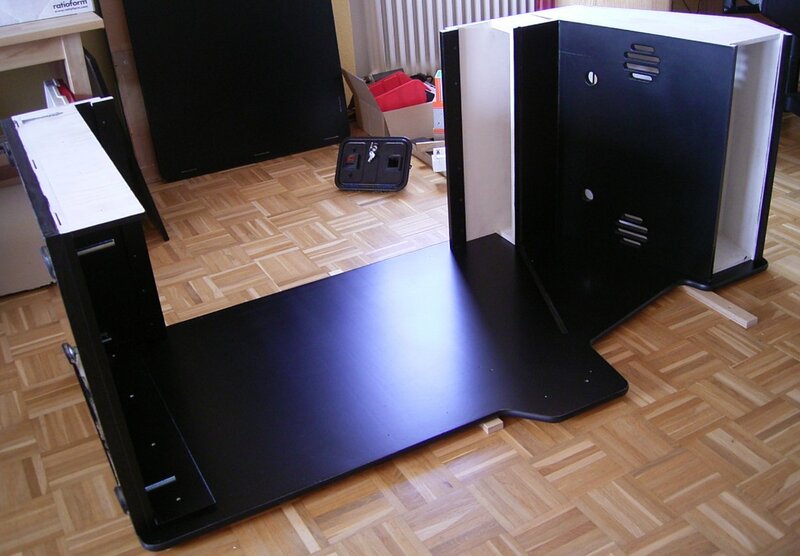 After bringing all parts from the workshop to my office, i start assembling the cabinet. 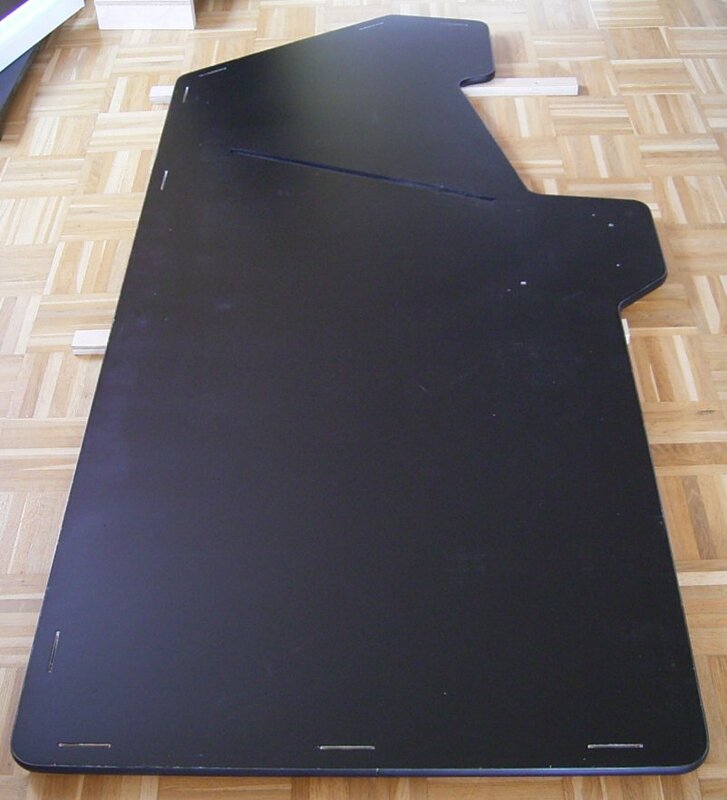 The cabinet is going to be assembled lying on its side. 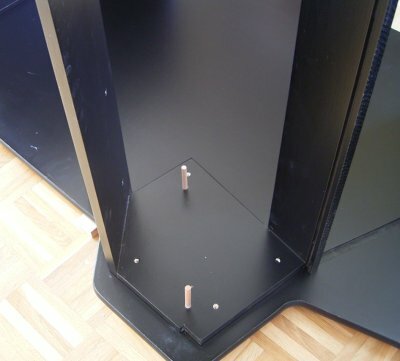 The picture shows one of the side panels with the slots which help positioning the different cabinet parts before fixing them. The first parts i fasten to the side are the base and the top. The picture above shows the strips of wood i used as a padding to protect the painting from scratches. The mount which later carries the different control panels is held in position by two wood plugs which are sitting in holes i drilled through the mount into the cabinet sides. When everything is screwed together, the plugs will be removed. 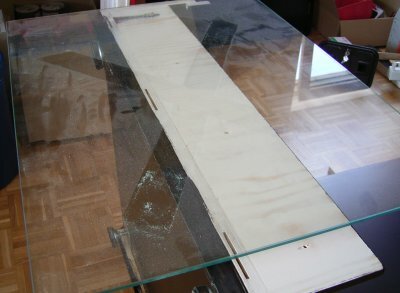 Next, i fit the glass plate which covers the monitor. But first the covers needs to be cleaned. Installation of the monitor cover.